Though I had to get passed the frequent use of the word "hashtag", I actually enjoyed the book. She gives great advice to prospective entrepreneurial women. I've often debated about starting my own business. I think she gives great insight and key things to remember. I also appreciate the fact she touches upon the subject of how women are often treated within our industry. We have to stick together as women and show how much we deserve to be here just as any other man. We are capable of running a business. Not only do we have a passion for our product and/or our mission, but we have a passion for building our community. I would definitely buy a physical copy to reference often when I decide to start my own business. 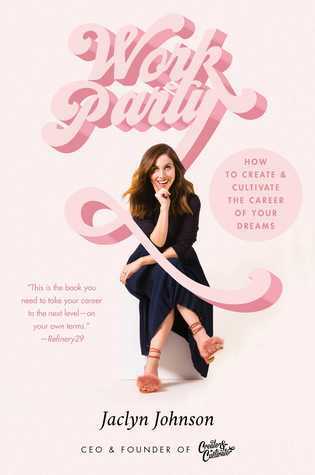 Sign into Goodreads to see if any of your friends have read WorkParty. 73.0% "I do like the fact that she covers topics like making sure you don't devalue yourself to make someone else feel better or to speak up for yourself when you get into uncomfortable/inappropriate situations. Too often do people just let things slide or fear that something bad will become of it."